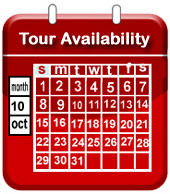 Although tour cancellations are not anticipated; Alpventures® Top Secret Tours / Roswell UFO Tours reserves the right to cancel tours for any reason, prior to tour departure date, in which case the entire payment will be refunded without further obligation on Alpventures® Top Secret Tours / Roswell UFO Tours part. In the case of Tour Participants' cancellation, a full refund will be granted up to 24 hours prior to tour departure. No refunds will be honored within 24 hours of tour departure. There will be no refund for services or portions of the tour not taken. It is also understood and agreed that refunds will not be made to participants who do not complete the tour, for any reason whatsoever. Alpventures® Top Secret Tours / Roswell UFO Tours has no responsibility in whole or in part for any delays, delayed departure or arrival, missed carrier connections, loss, death or injury to person or property or accident, deliberate criminal attack, mechanical defect, failure or negligence of any nature however caused, including, without limitation, any negligent act or omission or breach of contract by third party in connection with any transportation, accommodations, or other services, or for any substitution of hotels or of common carrier equipment with or without notice, or for any additional expenses occasioned thereby. Rates quoted are based on tariffs in effect at the time of printing / publication and are subject to changes therein at or before time of departure. No revisions of tour cost, tour itinerary or its included features are anticipated; however, Alpventures® Top Secret Tours / Roswell UFO Tours reserves the right to make any changes, with or without notice, that might become necessary with the mutual understanding that any additional expenses will be paid by the individual participant. Alpventures® Top Secret Tours / Roswell UFO Tours reserves the right to cancel tours for any reason, prior to tour departure date, in which case the entire payment will be refunded without further obligation on the Tour Operator's and Tour Guide's part. Alpventures® Top Secret Tours / Roswell UFO Tours retains the right to decline to accept or to retain any person as a member of the tour at any time, subject only to the requirement that the portion of the total amount paid which corresponds to the refundable unused services and accommodations be refunded. The other transportation or airlines companies concerned are not to be held responsible for any act, omission, or event during the time participants are not on board their conveyance. The passage contract in use, when issued, shall constitute the sole contract between the company(ies) and the participant and/or purchaser of the tour. Any litigation arising between the participant and Alpventures® Top Secret Tours shall be brought in the State of Oregon. Any litigation arising between the participant and Roswell UFO Tours / Dennis Balthaser shall be brought in the State of New Mexico. Copyright © 2017 Alpventures. All Rights Reserved.